I honestly cannot believe it is already time for 2016 to end and 2017 to begin. This was a year that saw my love of the hobby grow, expanding into games and genres I didn’t know I wanted to be in, goals and journeys that came to an end while others are just beginning. It’s been a roller coaster of a year. That being said, let’s get to it! ﻿Of those ten games, half were new games that I hadn’t played until this year. Sadly, I missed the goal by 690 games. Even if I factor in a handful of games that I didn’t record, be it because it I forgot or what have you, I still came no where near the goal. I’ll definitely be partaking in the challenge again next year but I will definitely adjust my goals to something more realistic. One of the new games that was on my radar for 2016 was Luck&Logic from Bushiroad. I had been following the Japanese release fairly closely. I knew I was going to go nuts in on this game. I spent many nights watching unboxing videos and play through videos in anticipation. Then, late on March night, I let a video go to the next thing and it was the first episode of the Cardfight Vanguard anime. I was hooked. I was reading about this game and couldn’t get enough. Which was sad because I couldn’t get my hands on a starter until May because of my local card shop. I ended up ordering it online for a fraction of the cost, but I digress. I bought the Kai Legends deck and it has quickly risen to my number one go to card game, sliding Dragon Ball Z to a distant second. Some seven or eight months later, I am playing three clans (Kagero, Link Joker and Shadow Paladins) and am looking to potentially build a deck to try the 2017 tournament scene. I wanted to try for the Chicago regional in October this year but work got in the way. A quick shout out to the trio over at the “Drive Check” podcast on iTunes. One thing I’ve really gotten into this year is trying to emerse myself more into the various communities that I’m playing in. The guys running the podcast have been a great source of information, discussion and ideas. If you are remotely interested in Cardfight Vanguard, check them out. They are on twitter, also, via @Drive_Check. Ghostbusters and Arcadia Quest Inferno are sequels to existing games in my collection, Masmorra and Bears vs Babies are new titles from publishers I like and Mything Battles is an entirely different beast all together. Any and all of these games I could have waited for to be released at the retail level to support my local game store, but the value of the stretch goals out weighted that. In the case of the two Arcadia Quest games alone, over 35 plus miniatures were added. At $10 a piece, that is $350 worth of free add ons. Mythic Battles’ pledge manager goes live soon (hopefully) and that is looking to be a huge purchase. However, this is going to be a beautiful game when it is all said and done. In school, I was enamoured with Greek mythology. This is going to be a game taking up a lot of time on my tabletop later in 2017. GenCon 2016: Literally the Best four days in gaming! This year was our 3rd GenCon and each year it has gotten better and better. As each year has passed, our interests in different aspects of the hobby has grown and grown. When we first went, the only game I personally played competitively was HeroClix from WizKids Games with a mild interest in board gaming. This year, I was buying singles, sealed product, hunting promos and demoing anything and everything I could get my hands on. I participated in 37 completely games over the course of the four days, and this isn’t including any additional demos. One of the games we demoed that I fell for hard was GKR: Heavy Hitters. I did the write up for the game when we got back (you can read it here). Honestly, if that game had been released at GenCon, it would have been my game of 2016. I wanted to give them my money right then and there. Sadly it wasn’t avaliable and will be hitting KickStarter in Feburary. If there was one complaint for GenCon, and I really had to hit it on one thing, it was that a lot of great games where on display but wouldn’t be avaliable until later on KickStarter. Mythic Battles, which I happily funded this past Novemember, was one of those games. I like going to GenCon to demo and buy, not demo and wait patiently for a few months to buy and then wait a year to play again. Founded in 2015, at GenCon, we finally got around to doing some stuff with it this year. Like dead games that haven’t been supported in years? You’ll love this group! So much more to come about this in the near future. We have some great things planned. 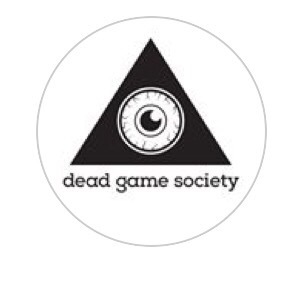 Follow us on Instragram at “deadgamesociety”. At our first trip to GenCon, I fell in love with miniature games. I swore to myself that before I left that I would purchase and dive into one. I debated all weekend between Warmachine or Hordes, Relic Knights or Infinity. I couldn’t decide. Second GenCon, same oath, same debate, same result. History repeated itself at this year’s GenCon with the exception of the added choice of the Batman Miniatures Game from the folks at Knight’s Models. Now I find myself at the cusp of a new journey: assembly and painting. I want to crack these all open but I’m waiting for things to die down a bit at work first. These definitely will play a major role in my plans for the hobby and this blog going into and through out 2017! On a side note with this, one of the best sources of information regarding miniatures and the hobby that I’ve found have been the community over at Beasts of War Between their sight and YouTube channel, I’ve learnt so much in regards to these types of games. Ontop of that their series The Weekender is just top notch programming! 2017 is shaping up to be another fantastic year in gaming, both personally and for the hobby as a whole. One of my biggest goals is to properly maintain this blog. I love talking about games just as much as I do playing them. I want to make this into something more than just a once in a blue moon happening. My plan is to branch out with more reviews, play throughs and videos of matches, random musings, unboxings and much more. A major goal is to reach out to other gaming groups and do more in the community. This past year’s attempt at the Extra Life 24-hour event fell through due to work and illness, but we’ll definitely be attempting it again this year. So as the ball drops later tonight, I want to wish everyone a happy New Year. May all your die rolls and card flips be true.